If you have an upcoming cardiac scoring procedure, you may be unsure of what to expect. Read on to learn more about this procedure. What Is Cardiac Scoring-CAT Scan Procedure? Calcium or plaque in your coronary arteries is sometimes difficult to detect and can lead to dangerous complications like heart attack or heart disease. Cardiac scoring allows your doctor to find out how much of this buildup is present so they can recommend the appropriate next step to ensure your overall health. Cardiac scoring is a painless procedure that takes less than 10 minutes of your time. Using CAT scan technology, the team at Health Images takes about 70 to 90 images of your coronary arteries to determine your cardiac score. If calcium or plaque is present in your coronary arteries, the test also helps us figure out how much there is and where it’s located. The coronary arteries supply oxygen-rich blood to your heart, and when you have a buildup of fat or other substances under the inner layer of these arteries, the result is plaque. When this material calcifies, it could indicate coronary artery disease (CAD), a condition that increases the risk of heart attack in patients. Plaque buildup can also narrow the arteries, cutting off blood flow to the heart which can also result in a heart attack. Cardiac scoring in conjunction with a CAT scan helps your physician determine if you have CAD, and to what extent. Many patients don’t present symptoms, so this test is an essential tool to check the disease’s presence. Your doctor may recommend getting this procedure if you’re at high risk for CAD. This includes patients with high cholesterol, high blood pressure, those who smoke, have diabetes, are overweight or don’t participate in physical activities and those with a family history of heart attack. Once your doctor determines your cardiac score, they can recommend ways to lower your risk of heart disease or heart attack. Not much preparation is needed before undergoing a cardiac scoring-CAT scan procedure. You will be asked to refrain from smoking and caffeine for at least four hours before the exam. If there’s a chance you are pregnant, be sure to let us know ahead of time. On the day of your cardiac scoring procedure, it’s advisable to wear loose-fitting and comfortable clothes. You may be asked to wear medical scrubs (top and pants) or a hospital gown. Be sure to remove all metal objects like jewelry, eyeglasses, hairpins and the like, as these might affect your CAT scan’s images. 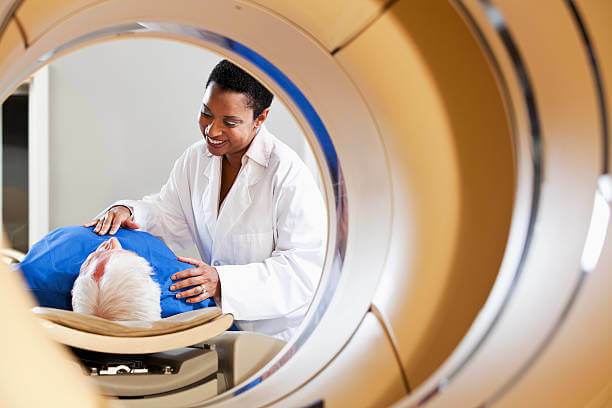 At Health Images, we are proud to provide diagnostic imaging procedures like cardiac scoring, which benefit the health of the patients we serve. We work with you and your doctor to deliver timely results, so they can diagnose and address any issues as soon as possible. We also provide a variety of other imaging services at our locations in Denver, Boulder and the surrounding areas. If you would like to make an appointment, reach out to the Health Images center nearest you. We look forward to hearing from you.